With more and more folks starting their own businesses, we thought we would put together a guide for those who may have a few SOHO (Small Office Home Office) friends on their gift list. When considering what to recommend, we went with suggestionswhich would make the SOHO work experience both more productive and more enjoyable. With all the attention focused on killer devices such as the iPad, other innovative gear gets less mentions than they deserve. We did a review of a gadget called the Boogie Board back in September. 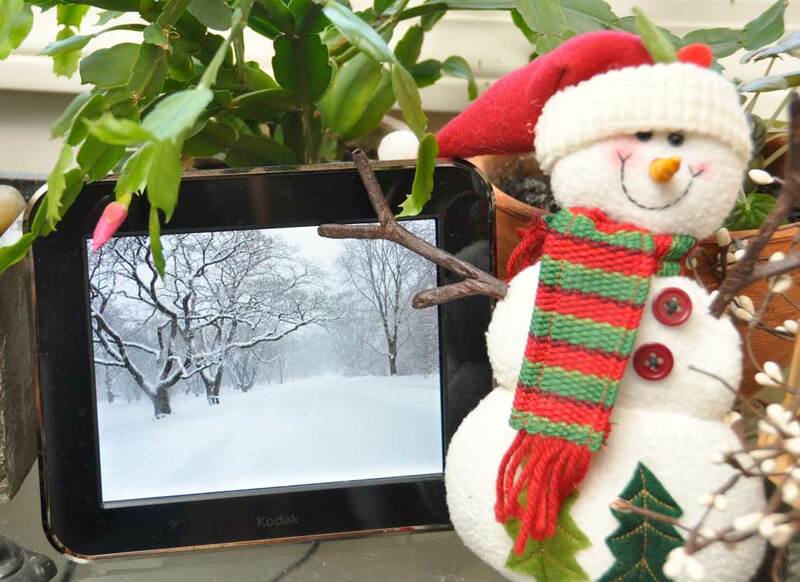 We think this LCD drawing tablet is the sleeper gift of this holiday season. Sources tell us that they are getting harder to find in stock. Give somebody one and they’ll never run out of paper. Just be sure to snag one while they are still available. Know someone who likes to work late into the night? Give them a sleek, comfortable Logitech K800 Wireless keyboard that delivers a brilliant typing experience—day or night. Want to share your holiday clips and pics with those close to you but are far away? 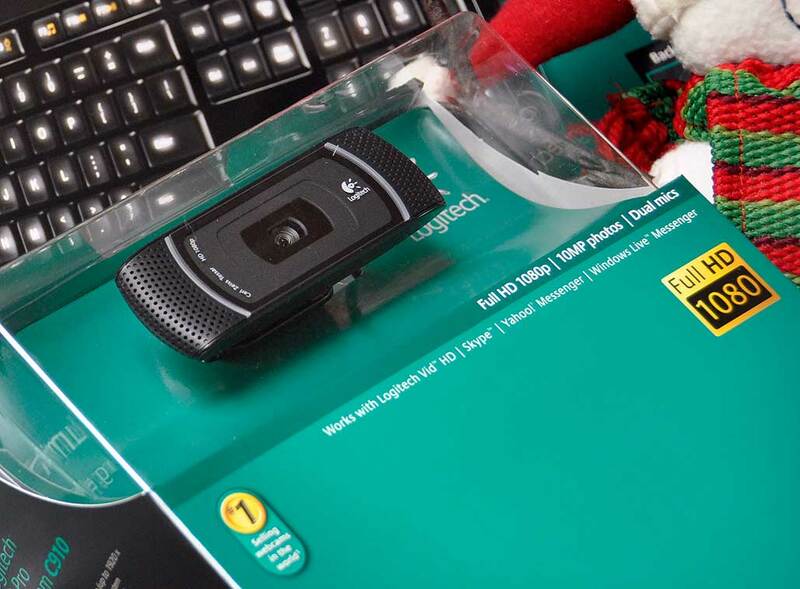 The Logitech C910 webcam will let you do all of that and more. The Carl Zeiss optics with autofocus will keep the image sharp, the no hassle setup makes it easy. Record in full HD video and share it with a 1-click HD-upload to Facebook and YouTube. Record everything, miss nothing…that’s what makes the Pulse SmartPen an invaluable tool. While you’re writing, the smartpen is remembering–linking everything you hear to everything you write. Later, simply tap on the notes to replay the recording. Give them the SmartPen and instant recall will be just a tap away. Need portability? Go with the Compass from Twelve South. It is both a compact easel and a typing stand. Want adjustability? Go with the Skadoosh from JaDu. It has the most angles, and will work even with a case. Crave simplicity? The SpaceDock from LapWorks is the one. It is simple and clean. We have many different digital frames around the RainyDayMagazine office. One of the problems with digital frames used to be the hassle of adding new photos. The process could be cumbersome. Ceiva solved that problem by giving their frames unique email addresses. Updating a Ceiva photo frame is as simple as sending it a photo via email. With Ceiva frames, you get more than just photos, you can also get news, weather, and other timely info…right on the frame. So if you want to give more than just pretty pictures, this is the one to give. 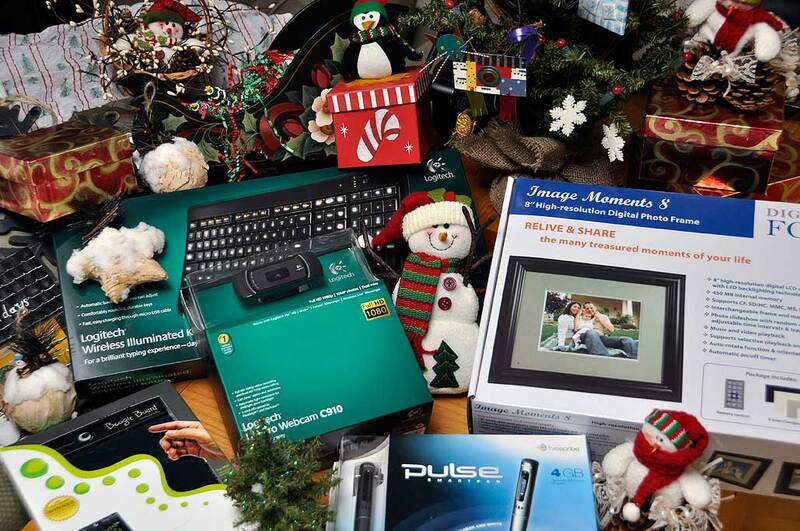 Digital photo frames make great holiday presents. Their features and capabilities get better every year. The Digital Foci Image Moments 8 is bigger, sharper, and brighter (8″, 800×600). What is even more amazing is that this frame can play back music and video! It even has interchangeable mats so the frame will be at home in any decor. The Kodak Pulse is not just another email-enabled digital photo frame, it was designed to be very social. It can be linked to Facebook pages and Kodak Gallery sites so when friends posts new images on their Facebook pages or on their Kodak galleries, the pictures on the Pulse frame will update automatically. OK, enough with the suggestions. It is time to get online and get with the shopping. Happy Holidays!